If you can write your name, you have enough touch to learn to draw. Let Mark Linley inspire you to pick up your pencil and create a magical masterpiece. His positive approach secures quick, accurate results and ever-growing confidence. 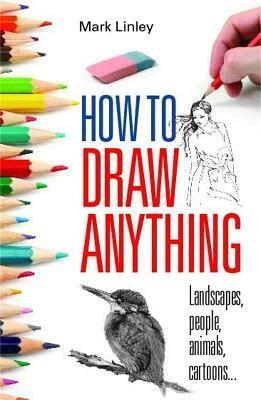 Learn to look properly and get the basic outlines correct; include the key features but simplify what you see; understand how shading (such as dot stipple or cross-hatching) can transform a sketch; get the eye level right and see how a grid helps with the composition. Whatever you want to draw - a beautiful holiday scene, a lifelike portrait of your family or favourite pet, or even a funny cartoon to illustrate a birthday card - Mark Linley shows, in this new edition of his bestselling book, everything you need to succeed. Mark Linley has been an art teacher for many years, running several very popular evening and holiday courses. As a health education graphic artist in Birmingham schools, he added a new dimension to the teaching of health education by encouraging children to learn while they draw.